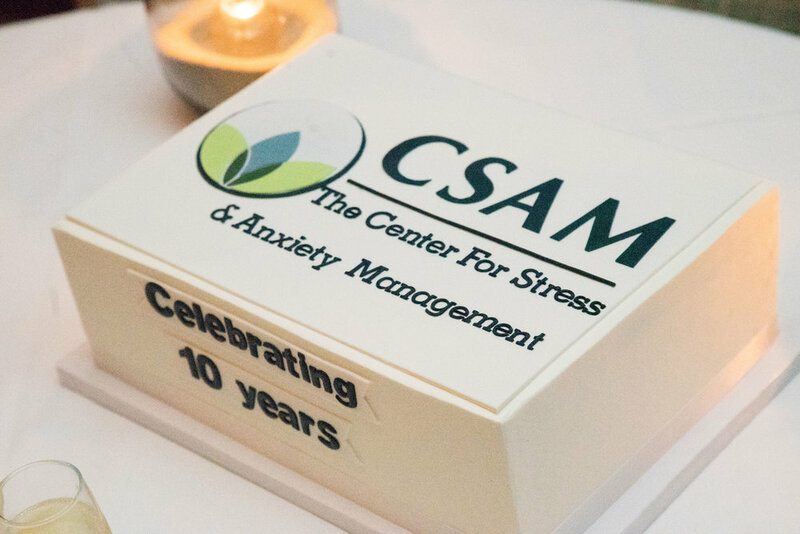 We are proud to announce that the Center for Stress and Anxiety Management has now been serving San Diego for 10 years! CSAM began ten years ago when, bitten by the entrepreneurial bug, Dr. Jill Stoddard realized her dream of starting her own clinic. She opened CSAM on her 35th birthday, in April, 2008. Being more risk averse than her entrepreneur dad, she chose to sublet an office one day per week while holding down another full time job consisting of four ten hour days at the VA. But soon, CSAM began to grow. Jill hired a psych assistant, and later moved the center to its own larger space in the same building. CSAM continued to grow, and Jill hired more staff, including an administrative Clinic Coordinator to streamline the scheduling process for potential clients. In 2014, after moving her family to North County, Jill opened a second location in Carlsbad to reduce her commute time. It soon became clear that this second location was a great way to serve more of San Diego. In 2016, Jill promoted Dr. Michelle Lopez to Associate Director. Michelle noticed a need for services in Northeast San Diego, including Temecula, and suggested opening a third location in Rancho Bernardo. Today CSAM has three locations so that members of the community can reach us from anywhere in San Diego in no more than 20-25 minutes. Our team includes six licensed psychologists, one licensed marriage and family therapist, one pre-doctoral psychological assistant, and one clinic coordinator. At CSAM, we continually try to anticipate the needs of the community and grow appropriately. For example, our recent hiring decisions have been aimed at having specialists for both adults and children in all three of our locations. Our next goal is to obtain specialized training in treating selective mutism, as we have identified this as an unmet need in the community. At The Center for Stress and Anxiety Management, we offer evidence based treatments, including Cognitive Behavioral Therapy and Acceptance and Commitment Therapy, for clients struggling with anxiety disorders, stress management, depression, and chronic illness. We offer the most effective, short term treatment to our clients, so they get the most out of the time and money they spend with us. We help clients to get in touch with their values in order to live a deeper, more conscious, more meaningful life. We provide them with the tools they will need to move forward from therapy with a sense of groundedness and purpose. Our goal is not to keep clients leaning on us longer than necessary. We believe in our clients’ inherent strength and wisdom. We are here to offer our clients empathy and support in the midst of challenging times, and to celebrate their triumphs and progress with them. Our clients’ wellbeing is our top priority. To create meaning and vitality by encouraging ventures beyond comfort zones, into courage zones. We kick fear in the rear because this is where the magic happens. Evidence based treatment: We only offer treatment that has scientific support for its efficacy because we value our clients’ time, money, and overall wellbeing. Ethical practices: We only offer treatment to those whom we are confident we can effectively serve. If we have reservations about whether we are suited to treat a client, we refer to a provider who will offer the appropriate specialized care. We abide by the ethical guidelines set forth by our professional associations. Empathy: Our clients come to us in the midst of pain and struggle, and we know that healing is facilitated by empathy, first and foremost. We understand that who we are as therapists is more important than the techniques we use, and that feeling heard and being seen is a vital piece of therapy. Congruence: We are therapeutically authentic with our clients. We understand this is an important piece of trust and rapport, and allows our clients the space and freedom to be authentic with us in return. Unconditional positive regard: We value our clients for who they are and do not impose judgment upon them, no matter their thoughts or feelings. We believe every human is a whole, unbroken being who is capable of dramatic and powerful change. "What makes me the most proud of CSAM is our incredible team. Not only are our clinicians passionate about providing the highest quality, compassionate care to the community, but we are passionate about supporting each other. CSAM is our professional family."